As a 100% Australian owned manufacturer and retailer of premium ice cream and sorbets, Fairy Hills Ice Cream is the supplier of choice for restaurants, cafes, catering companies and providers of fine foods in Melbourne. We normally carry around 35 flavours in store. If you have a bespoke flavour that you would like us to manufacture for you, contact David directly on 0418 596 904 to discuss your requirements. Our competitive rates, starting at $38.00 + GST for premium quality sorbet and ice cream per 5 litre tray, are excellent value for award winning standard product. We guarantee to deliver fresh quality product. Please contact us and we will be happy to send you our product listing and current prices. 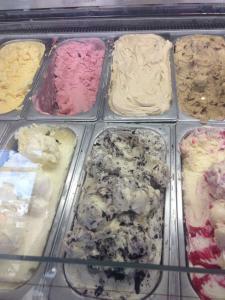 We are committed to providing our customers with top quality icecreams and sorbets that their customers will love.